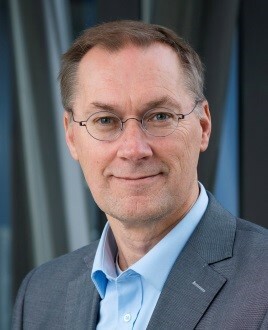 Anton Jan van Zonneveld is Professor of Experimental Vascular Medicine and the current Head of the Einthoven Laboratory for Vascular and Regenerative Medicine. His academic research career predominantly focuses on the molecular mechanisms by which adverse metabolic and hemodynamic risk factor impact on vascular homeostasis. Professor van Zonneveld serves as a member of the scientific advisory board of the Dutch Kidney Foundation and the Dutch Atherosclerosis Society. He obtained his academic degree in Biology at the Leiden University in 1982 and received a PhD from the University of Amsterdam in 1988 with a thesis devoted to the structure and function of human tissue-type plasminogen activator (Promotor Prof. Piet Borst, co-promotor H. Pannekoek). From 1986-1988 he continued his career as a postdoctoral fellow at the Research Institute of Scripps Clinic, La Jolla, California working on gene regulation and the transcriptional control of plasminogen activator inhibitor (with dr. David Loskutoff). During his career, he worked at the Red Cross Blood Transfusion Service and the Academic Medical Center studying Endothelial biology. From 1998 to 2001 dr. van Zonneveld was Managing Director Cardiovascular Research at Crucell Belgium NV. (adenoviral gene therapy of coronary stenosis) operating from the Center for Transgene Technology and Gene Therapy, University of Leuven, Belgium. Following his return to academia as head of the Department of Vascular Medicine at the UMC Utrecht he became Professor of Experimental Vascular Medicine at the UMCU in 2003. In 2004 he moved to his current position at the Department of Internal Medicine (Nephrology) at the LUMC. Since 2016, he serves as the director of the Einthoven Laboratory for Experimental and Vascular Medicine of the LUMC. His current research mainly focuses on posttranscriptional mechanisms in microvascular loss and repair. Progressive loss of microvascular integrity and tissue perfusion is a hallmark of many of the cardiovascular complications of (diabetes) patients with chronic kidney disease. Also, in kidney transplantation, ischemia reperfusion injury and rejection result in the loss of microvasculature. While vascular surgeons and intervention cardiologist have highly sophisticated tools to repair our larger conduit vessels, such as occluded coronary arteries by performing angioplasty or by placing stents, therapeutic strategies to protect or restore the microvasculature remains an unmet clinical need and are the main goal of the research topics in the Vascular Nephrology Group. Platelets are instrumental in the mobilization and differentiation of hematopoietic stem cells at the site of a vascular injury. Platelets plug a breached vessel wall, but may support the activation of coagulation under AF-conditions.